This summer I spent some time visiting my family in Arhus, Danmark. While there I went to see the poster exhibit “Genkendelsens Glæde”, and bought a few oversize postcard replicas. With advertising like this, I’m surprised more people aren’t flocking to Arhus. It’s pretty nice, I have to agree. 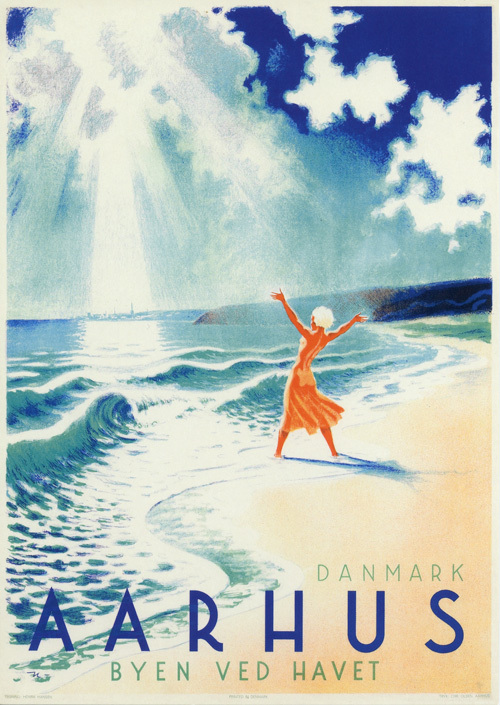 Poster by Henrik Hansen, undated.